Guest Blogger: Moses Avalon, author of many music business books, including 100 Answers to 50 Questions on the Music Business and Confessions of a Record Producer. Check out all his books here. Watch Avalon Wednesday (July 24th) morning on Fox News on Varney & Co. at 9:20am-11am EST. He will be discussing streaming music’s effect on the music industry. The following is a teaser from his blog on this topic. Visit mosesavalon.com to read the entire article. Will subscription services, like Spotify & Last.FMobsoletize the need or desire to own music files, thus killing the lifeline of artist and record company revenue? Keep reading this article on Moses Avalon’s blog! For the first time, industry expert Moses Avalon, the author of truth-to-power tomes likeConfessions of a Record Producer and Secrets of Negotiating a Record Contract, answers readers’ questions directly in this pointed analysis of business issues for musicians, producers, and managers. 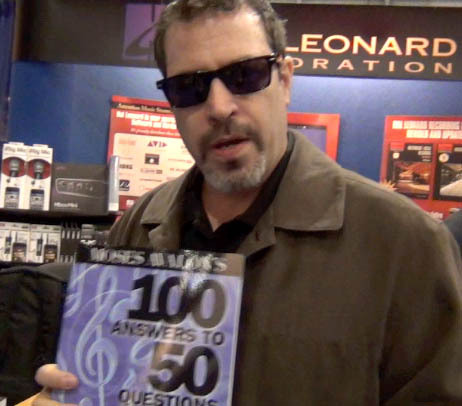 Chosen from questions submitted by readers of Avalon’s popular blog, the 50 questions he addresses in this book represent the most pressing issues in the modern music business, and his no-nonsense answers make up an essential “cheat sheet” for anyone looking to break into this challenging industry. Guest Blogger: Moses Avalon is a blogger and the author of 100 Answers to 50 Questions on the Music Business. Visit mosesavalon.com for this entire article. The labels are history, so say the blogs. Music is more popular than ever, so say the metrics. But, with the right to “share” dominating the debate are we asking the wrong questions about what this really means for music’s place in our culture? When I was in college people were proud of their LP collections. LPs were works of art in-and-of-themselves. Artists took advantage of the 12″ canvas to extend their vision and fans also found practical uses for the jackets: shelf liners, wallpaper and of course, cleaning weed. The point is (or was) that the tactile relationship to the LP itself had a bonding effect to the music and bolstered its social significance. This was the industry that many music executives battling front lines in the RIAA/ISP war today fell in love with; one that was about affecting culture in a positive way with a tangible product. These days, record collections exist on a flash drive. You can’t really clean pot on a flash drive. And that is the vortex of the dwindling public respect for music. Fire all the lazy support staff at labels, cut back on releases, reduce advances, reduce budgets and sell a file of ones and zeros in a cheap, easy to share format, say the technocrats. For those who have been in the music business since the 1980s this is a tough pill to swallow. Many were attracted to the relatively low-pay and long-hours for reasons that may no longer be relevant. Some have become curmudgeons, bitching about the good-old-days. Some of them blog too often. Some not enough. Is it possible that music is ready to take its place with other art-forms that have become the tapestry of life’s aesthetic: like Rembrandt postage stamps or Picasso bathroom-mats? I have no doubt that there was a fine-art connoisseur who ranted the first time he saw Sistine Chapel bathroom tile. No one listened. Commerce marched on. Keep reading this article on mosesavalon.com. For the first time, industry expert Moses Avalon, the author of truth-to-power tomes like Confessions of a Record Producer and Secrets of Negotiating a Record Contract, answers readers’ questions directly in this pointed analysis of business issues for musicians, producers, and managers. Chosen from questions submitted by readers of Avalon’s popular blog, the 50 questions he addresses in this book represent the most pressing issues in the modern music business, and his no-nonsense answers make up an essential “cheat sheet” for anyone looking to break into this challenging industry. 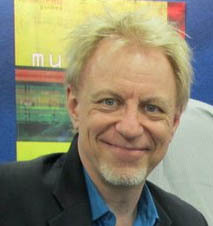 Guest Blogger: Moses Avalon, author of 100 Answers to 50 Questions on the Music Business. The following is an excerpt from his blog. A great American hero has fallen today and fallen far too soon. Sally Ride, the first American woman in space has succumb to pancreatic cancer at the age of 61…. For us in the music space Ms. Ride contributed only one somewhat insignificant anecdote, but one that resonated well with me because it exposed how unbelievably pigheaded we can be sometimes. Ms. Ride became known to me well after headlines about her diminished and when NASA was contacted for a performance license by copyright holders of “Mustang Sally” (registered with BMI at the time) It seems the feminist icon sang “ride, Sally ride” during a press conference… while orbiting the Earth. Sometimes, I just don’t have the words. Farewell, Sally. You have inspired the dreams of many and we thank you. Rest in peace. Read the entirety of this blog post on Moses’ blog. Hal Leonard’s best-selling book and DVD series MusicPro Guides brings together the most experienced authors in the music industry to give established and aspiring music professionals quality instruction that yields professional results. 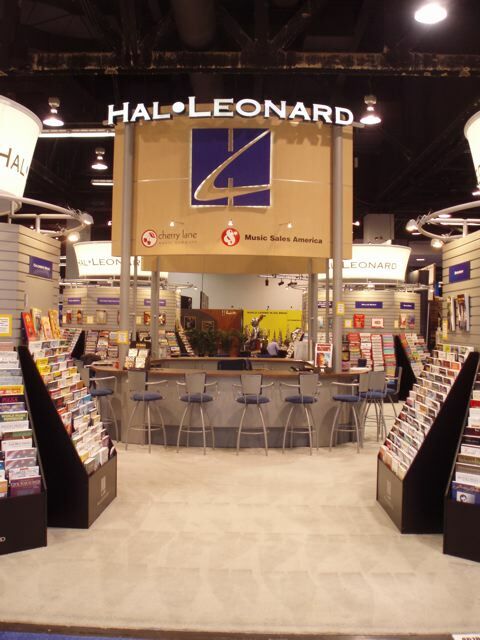 Last fall, Hal Leonard re-launched its MusicPro Guides YouTube channel (youtube.com/musicproguides), which streams the high-quality audio-visual media that accompanies its books or actual excerpts from its DVDs. It’s been a huge success, reaching thousands of subscribers and reaching 1.5 million views. And now, MusicPro Guides goes mobile. Hal Leonard has released its first two free MusicPro Guides iPhone apps featuring cornerstone authors Bobby Owsinski and Moses Avalon, with an app from Bill Gibson, author of the highly successful Hal Leonard Recording Method, to follow soon. 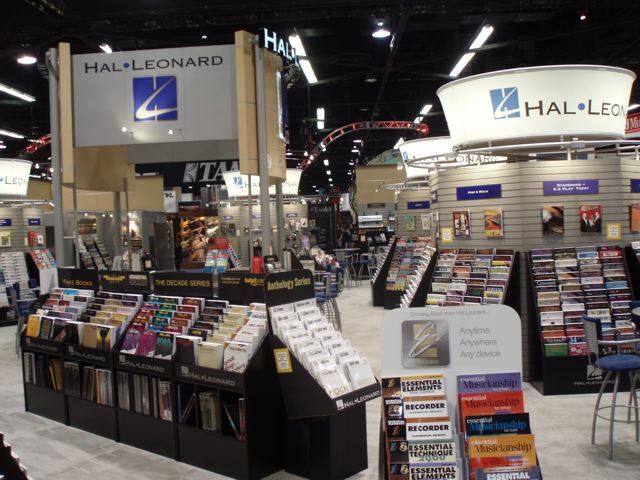 “We are releasing these apps as part of our commitment to have MusicPro Guides available in every form that musicians use,” says John Cerullo, publisher for Hal Leonard Books. 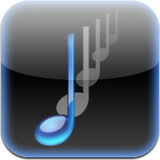 Watch for more MusicPro Guides apps in the near future. In less than one second, Delay Genie calculates to the millisecond the exact amount of delay for any live venue setup and/or any recorded musical setup. The “Studio” tab replaces the delay chart in many recording studios that shows delay times for drums and vocals. Tap your BPM or enter it manually, and the app displays 1/4, 1/8, 1/16, 1/32, and 1/64 note time increments, plus their respective triplet and dotted note companions. Just set your effects box to the number displayed on the app. The “Live” tab saves live mixing engineers the agonizing math required to suss out a concert venue. Enter room measurements, and the app displays delay time between the stage and speaker cabinets. It also accounts for differences in temperature that can affect live delay times. Bobby Owsinski is a music producer/engineer and best-selling author of over a dozen books including the new second edition of Music 3.0: A Survival Guide for Making Music in the Internet Age (Hal Leonard Books). Visit BobbyOwsinski.com. 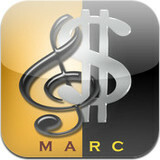 MyRecord Deal is a mobile app version of the MARC (Moses Avalon Royalty Calculator), which music business professionals and educators have been using for over a decade. It calculates the profits and losses generated by virtually any US record deal, offering information on how much musicians actually make on record sales and the actual “penny rate” of each single or album. It’s a tool for both serious music professionals looking to budget a production and for anyone curious about how much a hit song is actually worth. 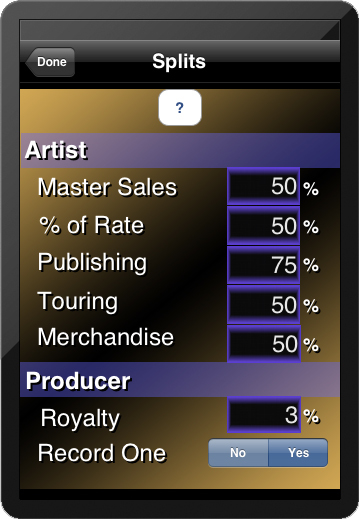 MyRecord Deal also comes with an in-app help book that explains record label accounting procedures, how labels calculate royalties, and how to negotiate effectively with a label to get the best deal for the artist. Enter for a chance to win a premium upgrade to MyRecord Deal. YOU could win one of my books! You can win a free book by Moses Avalon! Just post a comment on this blog post, and make sure you include your email address in your comment so that we can get in contact with you. Check below for some topic suggestions. Five winners will be chosen February 15th. 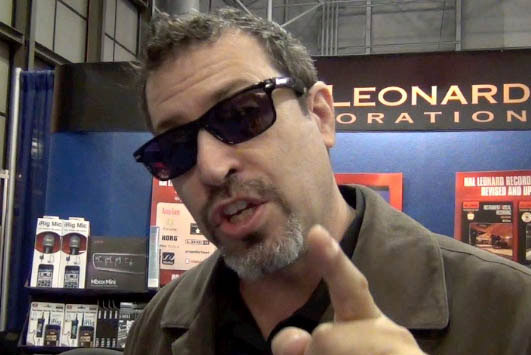 Did you see Moses Avalon at NAMM this year? What are your thoughts on the topics discussed in his panels? What is the most useful music conference for you? Check out Moses’ top 19 music conference chart to find out what he thinks of each. Have you read the SOPA bill? What are your thoughts? Find out what Moses says about SOPA and post your ideas in comments. Have you read any of Moses’ books? What have you learned? Do you have a question you wish Moses to answer about the music industry? Ask away! 1p.m. Pre-lecture begins with Moses Avalon. You don’t want to miss this! 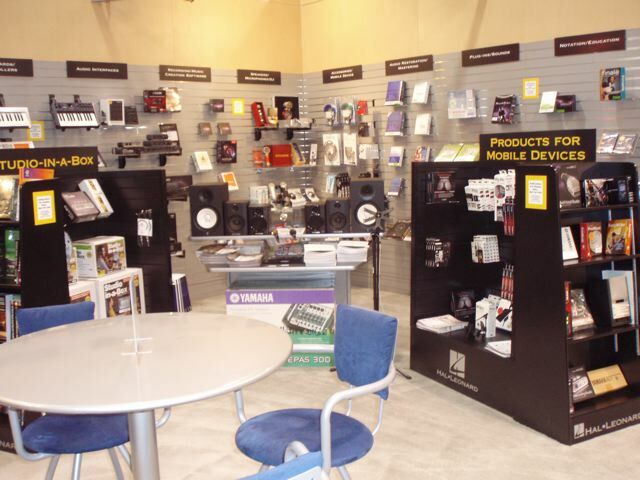 Also available from Moses Avalon: Advanced Recording-Contract Negotiations for Music Industry Professionals, available here from Hal Leonard Books.